Very well-known brand name but unsuccessful sales with 25 SKUs. 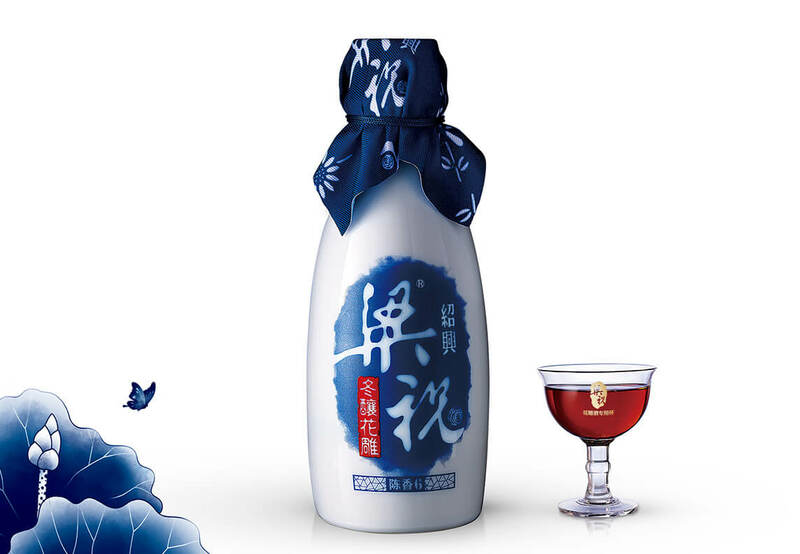 The creation inspiration comes from a Chinese well known beautiful but heart-breaking story between two lovers LIANG & ZHU which have happened in GANGNAM (South River Land) region SHAOXING , same district where this rice wine product comes from. The design highlights blue-cloth head cover, as this represents local clothes style, which appeared also in the LIANG & ZHU love story: a group of young scholars all dressed with such blue-cloth head covers. Copywriting reflected calligraphy fonts, with ink technique background which represents Chinese traditional painting technique. 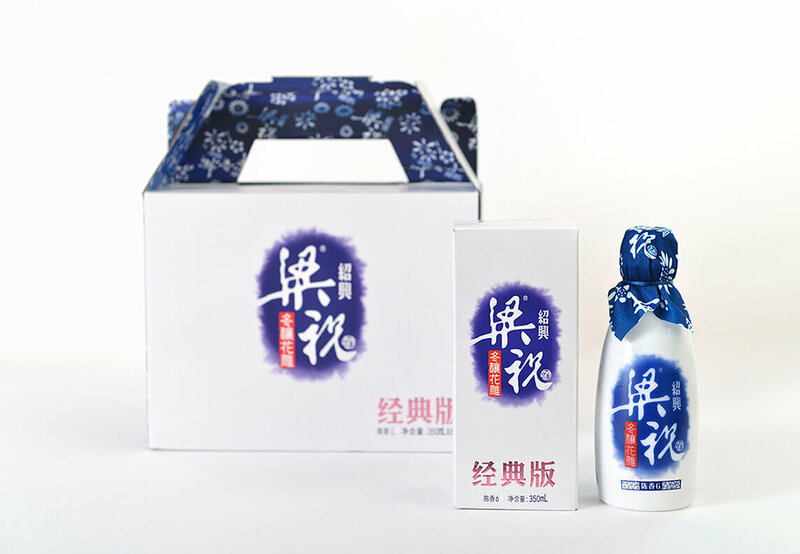 Final effect gives impression of beautiful Chinese blue and white porcelain. Thanks our concept, manufacturer focused on this one product instead of 25, and start to earn benefit the next year after launching.